If you have not already discovered Original Gravity Magazine and you like beer then do check it out quick sticks. This magazine is a perfect read for ‘all things beer’. 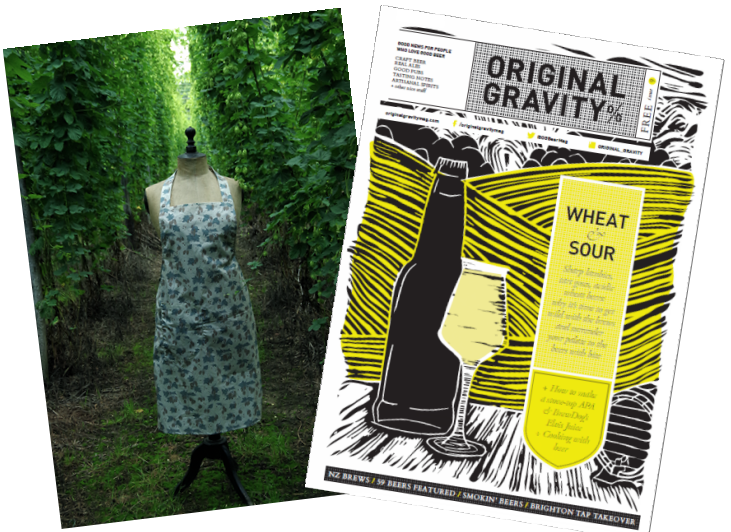 In the latest Issue the lovely people at Original Gravity Magazine have kindly previewed my hop fabrics for their ‘Perfect 10’ column. 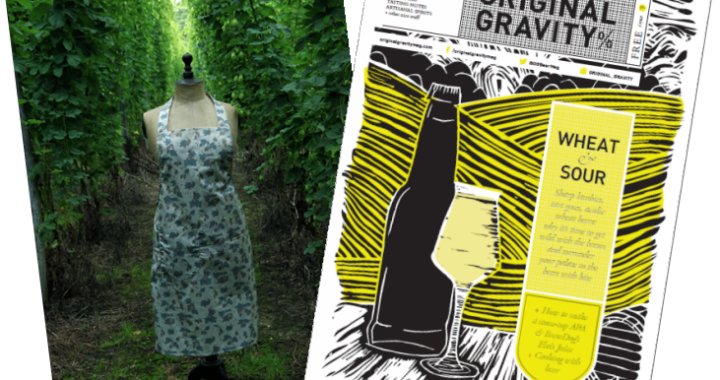 In conjunction with the team at Original Gravity you can enter our free draw to win the unique ‘Hop’ Apron pictured above, perfect for the Kitchen or Barbecue! Just flick through to Page 8 to find the article and the link you will need to enter our free competition. All you need to do is fill in your details on the form that pops up and click the Enter Now button to enter the Original Gravity competition to win our fantastic ‘Hop’ Apron. This will be drawn on 14th July and the winner will be notified by email. Good Luck to everyone who enters.